“This book is written for all the ordinary adivasis I know, who make difficult moral choices within complex constraints, and many of whom are heroic beyond bounds I can scarcely imagine. 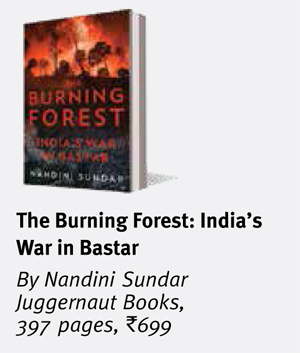 In today’s condition, it requires superhuman effort for them to merely survive,” writes academician-activist Nandini Sundar in her book, The Burning Forest: India’s War in Bastar. The book sheds light on the inhuman militaristic policies and acts of the state and central government in Chhattisgarh and the war waged by the Maoists. For three decades now, Chhattisgarh, caught up in insurgency and counterinsurgency, has been Sundar’s area of interest. With that long-term perspective, she narrates how the war of resistance started in a tribal belt and affected its social fabric. She touches the contours of violence and exploitation in the region and presents a heart-wrenching picture of the poor locals, who are murdered, fined, looted, raped and unreasonably labelled as Maoists in this conflict between the government and the rebels. What exactly happens when the government starts its own vigilante movement, picking up some people, giving them the powers of a force and setting them against their own people? The atrocities committed upon the poor masses increases, she says, caught as they are between a powerful, government-backed vigilante group and the Maoist rebels. It leaves them no option but to migrate to neighbouring states. Sundar recounts the tales of many such people who have fallen victim to this counterinsurgency strategy. Her diagnosis is that this is “the state failing in the face of corporate and political greed”. 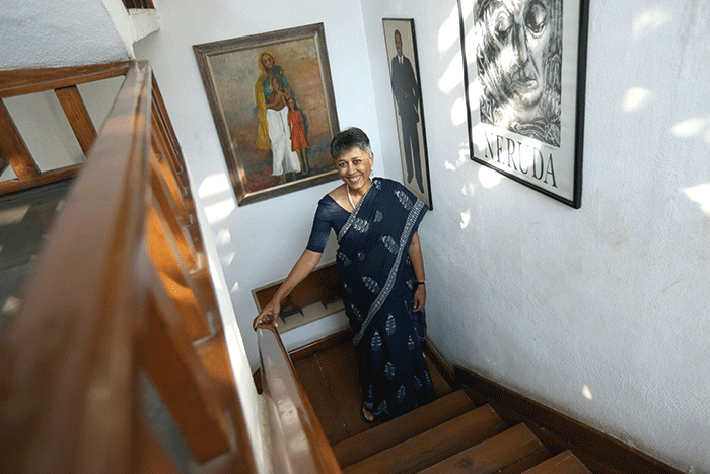 And the leading edge of that onslaught of greed has been the Salwa Judum, a counterinsurgency group that, according to her, has a characteristic that draws on how Indian democracy has often worked. Counterinsurgency operations, she says, clear the way for mining and industrialisation, processes that are justified as an employment-creation exercise, and in the process, the displacement of the poor is celebrated as growth and development. Sundar, being vocal about the situation in Chhattisgarh, doesn’t fail to question the role of institutions like the National Human Rights Commission (NHRC), the centre and state police machinery, the CBI, the political parties, the bureaucracy, the media and the judiciary. 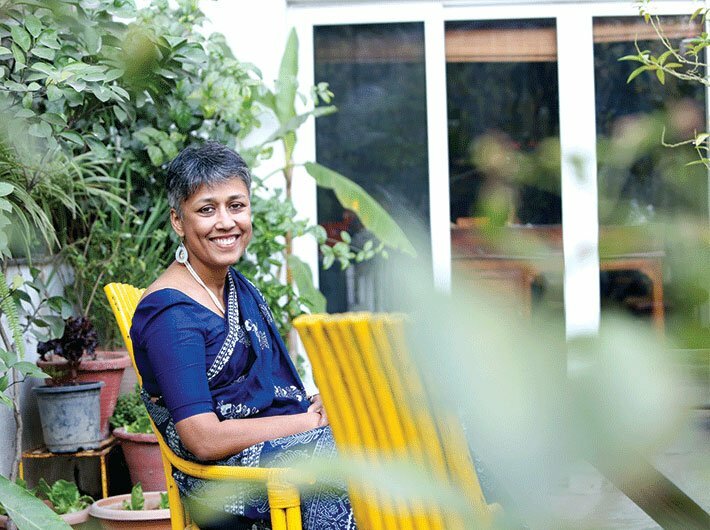 In an interaction with Archana Mishra, she talks about the land and the people she has been associated with for the better part of her life. The term ‘Maoism’ has several connotations, ranging from social justice to mindless violence. Is there a short answer to how you view the phenomenon? The CPI (Maoist) is a political party that believes in armed struggle for equality and social justice, on the assumption that peaceful methods have failed. This assumption and the manner of armed struggle should both be debated publicly, and dealt with through political dialogue, not repression, since it affects a large number of ordinary citizens. The conflict has given rise not only to fear and uncertainty but also to massive displacement of people and divisions within the communities. What do you think will the consequences be? I think we are seeing the demise of an adivasi society based on local solidarity, with political parties and religious groups (like the RSS and the evangelicals) all trying to grab adivasis into their own fold. Coupled with the impact of displacement for mines, trafficking of women, the decline of agriculture, and loss of forests, we are seeing a slow genocide of a whole way of life. Surveys show that across India, at least 40% of adivasis (the figure is higher for women) have a body mass index of less than 18.5, that is, they are at starvation levels. I don’t see any government programmes operating on a scale large enough to address this – all we see are paramilitary camps. Your book presents an account of how violence has mutated over the years. How do you see the future now – especially when the government has said it would form a ‘Bastariya Battalion’, a paramilitary unit of local adivasis. Does this forebode the return of the Salwa Judum? It’s unfortunate that the only employment the government is offering is in the police or the CRPF, when there is a crying need for school teachers, health workers, and so on. The government may win the war in the short term by killing large numbers of Maoists, and ordinary villagers, and also by dividing communities. But unless issues of land, hunger and other rights are addressed, there will be no permanent solution. The people of Bastar, as your book shows, have been suffering from unimaginable atrocities, mostly from the state. Do you think it is possible for them to regain trust in democracy? People have a lot of faith in democracy, despite everything. They are still trying to contact the press, appealing to courts, when there are fake encounters or instances of gang rapes. It’s the democratic institutions that fail to recognise their aspirations. You have also raised the question of whether democracy makes any difference to counterinsurgency. Can you elaborate? In principle, democracy should be able to check the worst excesses or human rights violations. However, research on this is mixed. Some scholars have found that there is no difference between authoritarian regimes and democracies when it comes to the manner of conducting counterinsurgency, especially against vulnerable populations. In fact, the similarities between colonial-ruled Malaya (1948-60), army-ruled Myanmar, and the democratic Indian government in Mizoram (1966-86) and Chhattisgarh (2005-ongoing) are striking in the way that they have displaced populations in the name of fighting insurgents. What I am arguing, however, is that when democratic institutions – political parties, media, statutory institutions, courts – don’t work effectively, they can add to the problem by concealing and legitimising the crises. You have noted that Maoists and rights activists are indistinguishable for the security establishment. That possibly is why more and more rights activists have been targeted by the state in recent times – you yourself being the latest. How do you react to such a situation? Is it hopeless or is it just the next battle in the long fight? October 17: CBI files chargesheet against seven SPOs (special police officers) for arson and 26 Salwa Judum leaders for attacking Swami Agnivesh. October 21: Court directs the CBI to give us the reports. The CBI chargesheet becomes news in Chhattisgarh. October 23: SRP Kalluri, who was SSP Dantewada in 2011 and under whose command both the operations in the villages and the attack on Swami Agnivesh took place, holds a press conference. He accuses the CBI of lying and says the houses caught fire by themselves due to crossfire. 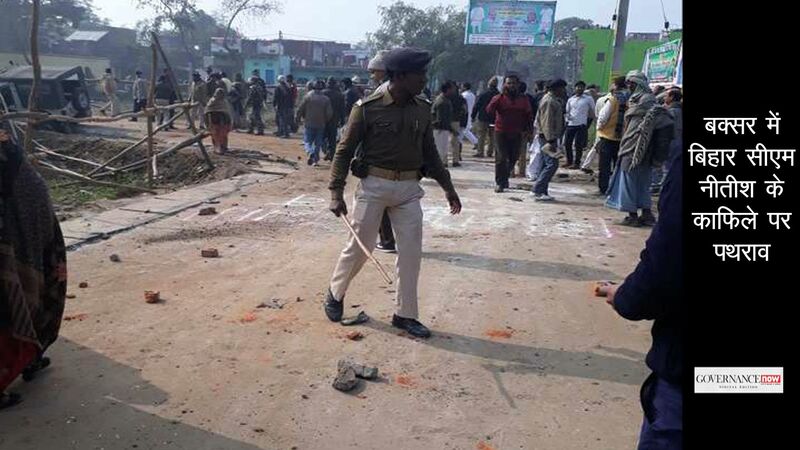 Not only does this contradict the police FIR registered in 2011, which says that the Maoists burnt the houses, but it’s also physically impossible since the houses are far apart, and spread over different hamlets. October 24: There is a coordinated movement by former SPOs, now police constables, in seven police district HQs to burn the effigies of six people – including me and Manish Kunjam, who is also a petitioner in the case before the Supreme Court. October 26: AGNI, one of the state-sponsored goonda gangs, attacks a press conference held by Manish Kunjam. October 28: Hearing in the Supreme Court, where we ask for protection for Manish Kunjam. The state was ordered to provide this as far back as 2010, but they have given him a gunman without a gun. November 7: The police file a false FIR against us. We were charged for the murder of a man whom we have never met, in an area which we visited six months before he was killed, on the supposed complaint of his wife, who has said she never made any such complaint against us. The good thing is that the opposition is now making it an issue. For a long time the Congress and the BJP collaborated on running the Salwa Judum. The public often comes to realise that there is a state of emergency and breakdown of law only when the state targets middle-class people. The poor have always lived in a state of emergency. The fictitious and absurd cases against us are no different from the false cases they have been filing against ordinary adivasis all this time. People are picked up from their homes and passed off as Maoists. The jails of Chhattisgarh are among the most overcrowded in the country. We had good lawyers and media coverage, the rest have nothing. It’s time that the public at large realised just how lawless the government of Chhattisgarh is. Over the past 30 years, the region has seen governments of the Congress as well as the BJP, and also the formation of a separate state to empower the tribal people. Have these factors made any difference for the tribals? Chhattisgarh and Jharkhand were highlighted as tribal states – but in fact, the aim behind the creation of these smaller states was to make it easier for mining companies to operate. The politics of both the states – especially Chhattisgarh – is dominated by non-tribals. In Jharkhand at least, adivasi issues like changes to the land tenure acts are taken up by civil society groups and political parties; in Chhattisgarh, the government has been successful at co-opting the media and (till now) the opposition as well. 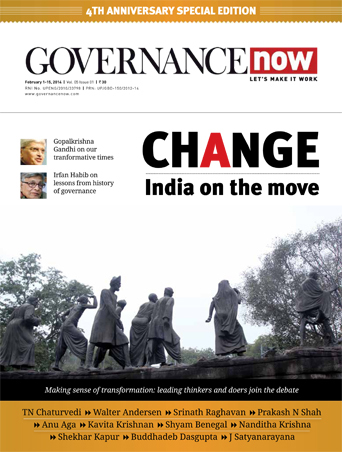 Chhattisgarh is a model state in terms of many governance and social sector reforms (for example, in PDS), according to media reports and official claims. But how is it possible to achieve human development when people are caught up in violence from two sides? Scams are coming to light even in areas like the PDS (public distribution system). In the case of Bastar, the government has managed to project it as gangrene in one arm, which can be excised while the rest of the body stays healthy. It is effectively treating the people of Bastar as superfluous, except when it comes to their resources. What is not being covered in the same frame of so-called good governance is the loot of resources – the mining contracts, the environmental devastation. Delhi has good amenities, but ultimately the environment – the urban pollution – is making it unlivable. One can’t escape nature, and any state which wants to be a ‘model’ must recognise that. You have been researching Bastar for about three decades now. What was the initial impulse behind the choice, and what do you feel when you look back over this period? Can you also share any memorable anecdote of your interaction with people? My overriding sense is one of sadness at what the place once was – breathtakingly beautiful, culturally distinctive – and what it now is – militarised and corrupted. The people are incredibly brave and generous, and deserve better from the rest of India.